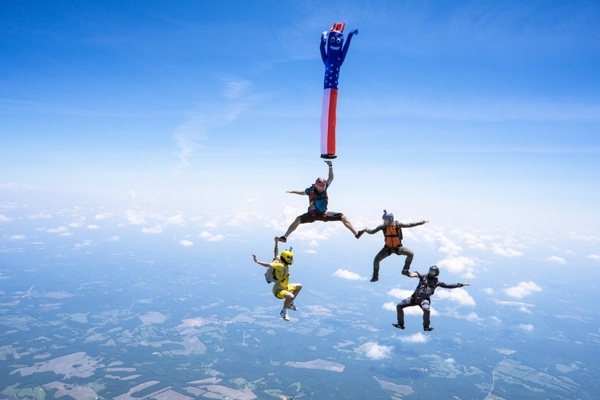 Tandem skydives are a great way to be introduced to the sport of skydiving — they give you a taste of what it’s like to fly with a professional skydiver and offer experience flying a docile parachute. But if you love your first jump experience, it’s worth considering taking the next steps and getting your skydiving A license. 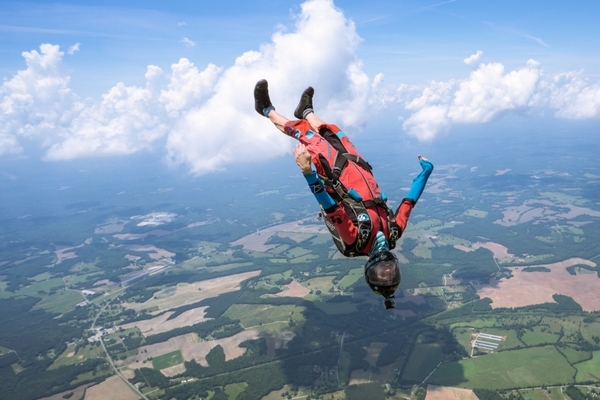 There are so many awesome things you can do once you’re a licensed skydiver — and it only gets better as you progress in the sport. There are four skydiving licenses you can work towards as a skydiver: A, B, C and D. Each license brings with them their own challenges and rewards. We’ve broken down the major differences for you here. The A license is the introductory license to the sport of skydiving. All students must complete a United States Parachute Association approved course on the ground in order to get approved to fly solo. They then must complete a series of jumps with coaches and instructors and display a number of skills before they are approved for their A-License. 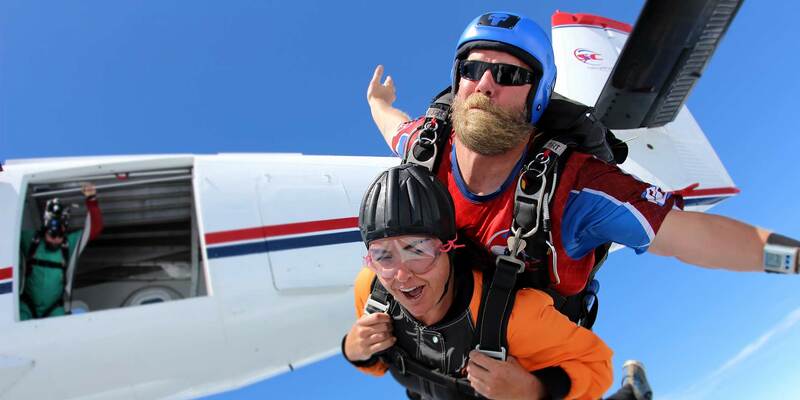 Once a student completes all levels and reaches 25 skydives, the real fun begins. Once licensed, A-holders can jump with their friends! Imagine flying up to your friend in the sky and holding their hand? It’s unbelievable! A – License holders also can pack their own parachutes, engage is basic group jumps and perform water landings. Skydivers can achieve their B-Licenses once they’ve reached 50 jumps, taken a canopy course, completed training for a water landing and completed a few other flying and landing maneuvers. Once they have their B-License, skydivers are no longer the newest people in the sky and can take on more responsibility and tasks. B-holders can do all the same things as A-holders, as well as complete night jumps, helicopter jumps and hot air balloon jumps. Once a B-Licensed jumper reaches 100 jumps, they can qualify for their coach rating to help students or other skydivers progress in the sport. B-License holders can also take a HALO jump from a high altitude, which can be double normal altitude. A C-License is achieved after reaching 200 jumps and completing a number of other maneuvers, including landing accurately within a small distance of a target. Once a C-holder, skydivers are considered to be relatively safe to fly with and are offered that many more privileges. This is when the real fun begins! Skydivers can jump with a camera, such as a GoPro, to record their jumps. They also become eligible for wingsuiting, which is an advanced type of skill in the sport in which a person wears a nylon suit, helping them to fly more horizontally that they can in regular clothes. At this level, skydivers can also work toward their USPA instructor rating, which enables them to work with students in an official capacity at the school and sign off on their progress. C-Licensed skydivers can also perform smaller demonstration jumps, which occurs when skydivers land in an area where there are spectators, such as in a baseball field ahead of a game. With the most advanced license in skydiving, which skydivers qualify after 500 jumps, jumpers are able to achieve the highest ratings in the industry. With this, they can do everything they can with the A, B and C licenses, and work toward their pro and tandem ratings. With a pro rating, skydivers can participate in large demonstration jumps and other exhibitions with difficult and tight landing areas. They can also be trained on flying into these places with flags and pyrotechnic devices. With a tandem rating, instructors can take first-time fliers on their first skydive using a dual-harness parachute system. Ready to get started on your A License? 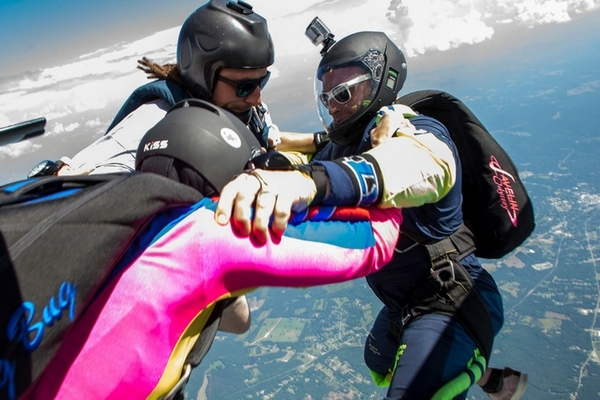 Learn more about our Accelerated Freefall Progression program here at Skydive Carolina.